Posted by bessie on Friday, February 06, 2009. With our inaugural year under our belt, we did a customer survey. Respondents split almost evenly between male and female, with 55% under the age of 35. Our online community has continued to grow through our social media campaigns. We asked customers about how they use the web: almost everyone uses Google, 3 out of 4 use Facebook, and while most people had heard of Twitter, only 20% use it. Top answers to 'rate the following factors in your decision to take steps at Brighter Planet' were combating climate change, offsetting my carbon footprint, investing in community-based climate solutions, and trustworthiness of Brighter Planet. When asked "how green do you consider yourself," 3 out of 4 responded that they embrace sustainability in their daily life and recycle, walk, take public transportation, and use CFLs. Less than a quarter live the greenest lifestyle, defined as driving a hybrid car, composting, and buying local. 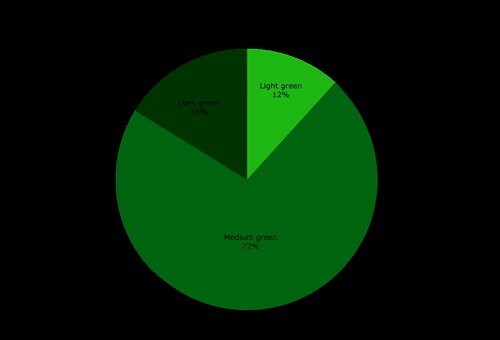 The remainder consider themselves light green and do a little but are not focused on it. What was most important in evaluating offset projects? Benefits to public health and water quality were highest. A close second was verification by an independent third party. Rated less important were diversity of project types and additionality of offsets produced. Answers to 'rate offset projects from high to low interest' yielded wind turbines and solar* installation projects tied for the top ranked spot. Almost three quarters of respondents prefer offsets from certified international wind projects to uncertified domestic projects.